This is the Kentucky Derby Museum general admission sold online for all adults aged 15-64. 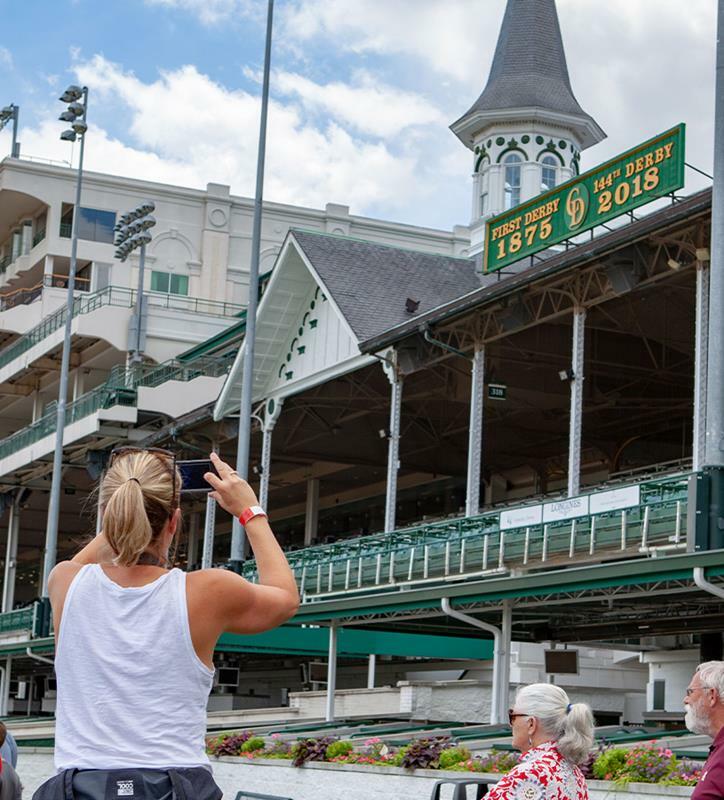 The ticket includes the guided Historic Walking Tour of Churchill Downs, access to two floors of Museum exhibits and viewing of "The Greatest Race" movie on the 360-degree screen. This ticket is good for any day when the Museum is open to the public, but does not include general admission to Churchill Downs Racetrack. This prepaid admission is NON-REFUNDABLE and has no expiration date. Please visit www.derbymuseum.org for information on the Museum's operating hours. It is the responsibility of the ticket holder to check the Museum's operating schedule, which may change at any time, before redemption. No refund or credit will be given if the ticket is attempted to be redeemed at a time when the Museum is not open to the general public, including Kentucky Oaks and Kentucky Derby days. No refund or credit will be given if this ticket is redeemed at a time when comparable admission has been discounted due to a promotion or change in facility availability. Please note that the Historic Walking Tour may be cancelled at any time, with or without notice, due to extreme weather or at the request of Churchill Downs. "The Greatest Race" may be cancelled at any time, with or without notice, due to technical difficulties, scheduled repairs or special events held at the Museum. No refund or credit will be given if this general admission ticket is redeemed at a time when the Historic Walking Tour and/or "The Greatest Race" are unavailable. This is the free Kentucky Derby Museum admission for children aged four and under. The ticket includes the guided Historic Walking Tour of Churchill Downs, access to two floors of Museum exhibits and viewing of "The Greatest Race" movie on the 360-degree screen. This ticket is good for any day when the Museum is open to the public, but does not include general admission to Churchill Downs Racetrack. This free admission has no expiration date. This is the Kentucky Derby Museum general admission sold online for all children aged 5-14. The ticket includes the guided Historic Walking Tour of Churchill Downs, access to two floors of Museum exhibits and viewing of "The Greatest Race" movie on the 360-degree screen. This ticket is good for any day when the Museum is open to the public, but does not include general admission to Churchill Downs Racetrack. This is the Kentucky Derby Museum discounted general admission sold online for all seniors aged 65+. Verification of age may be requested at the time of your visit to confirm eligibility for this prepaid admission. The ticket includes the guided Historic Walking Tour of Churchill Downs, access to two floors of Museum exhibits and viewing of "The Greatest Race" movie on the 360-degree screen. This ticket is good for any day when the Museum is open to the public, but does not include general admission to Churchill Downs Racetrack.